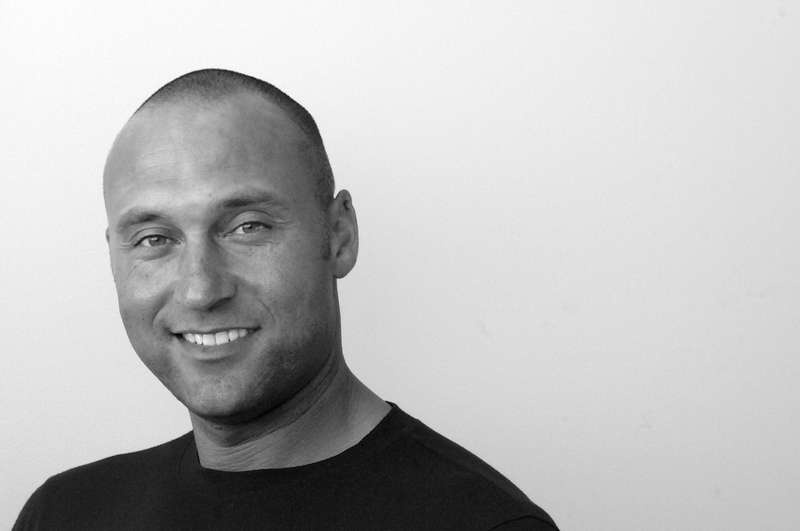 Inspired by Derek Jeter’s childhood, The Contract is the first book in Derek Jeter’s middle grade baseball series, an important part of the Jeter Publishing program, which will encompass adult nonfiction titles, children’s picture books, middle grade fiction, Ready-to-Read children’s books, and children’s nonfiction. 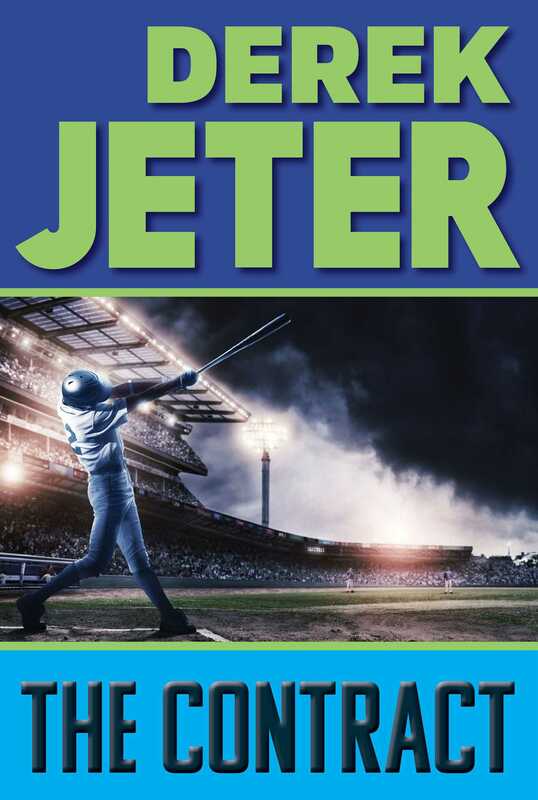 For more about Jeter Publishing visit JeterPublishing.com. Yikes! He was really stuck now. What was he going to say? The awful truth was that his mind had been miles away—at Yankee Stadium for the Fall Classic, not here in Room 212 of Saint Augustine Elementary School in the middle of April. A wave of giggling came from somewhere behind the teacher. For some reason a few of the students thought the topic was hilarious. “Ooo! Ooo!” Jamali Winston said, raising her hand and waving it frantically. Derek wrote down the assignment, smiling. This was going to be easy! He knew what he wanted to be—a big-league baseball player. He’d wanted to be one ever since he was . . . well, even before he could remember. The bell rang. Derek grabbed his things and stuffed them into his book bag. He threw on his coat. It was still pretty wintry in Kalamazoo, Michigan—which was not unusual for mid-April. Piles of leftover dirty snow were still on the ground from a blizzard they’d had two weeks before. And more snow showers were expected for tomorrow. Derek sure hoped it got warmer soon, because Little League season was about to start. He sped down the hall toward the exit doors, dodging slower kids like he was running back a kickoff. Derek turned and smiled. “Hey, Vijay. How’s it going?” The two boys high-fived. Vijay Patel had started playing ball with Derek and the other kids as soon as his family had moved into Mount Royal Townhouses. Vijay’s parents were from India. They both loved cricket, but because Vijay had grown up here in the United States, he had become a big baseball fan. The only problem was, he wasn’t exactly a natural athlete. At first he hadn’t been able to figure out which leg went forward when you threw the ball. Derek had helped him straighten that part out at least. From then on, Vijay had been his devoted friend, and Derek took pride in Vijay’s improvement. On the night of the Little League tryouts in February, Derek had even given Vijay one of his Yankees sweatshirts so he wouldn’t look so out of place—Vijay was wearing a jack-o’-lantern sweatshirt at the time. “I sure hope we’re on the same team,” he told Derek as they got outside. “Yeah, me too,” Derek said, giving Vijay a pat on the shoulder. He meant it too. It was fun to have your friends on your team. But even more importantly, he wanted to be on a really good team for a change, a team that had kids with baseball talent. Derek’s last two teams hadn’t done well at all. He had memorized all the ugly numbers. His Giants had finished 2–10 two years back. The following year his Indians had been only slightly better, at 3–9. He hadn’t liked watching other teams celebrate at his team’s expense, or the razzing he had gotten the next day at school. The two boys walked back to Mount Royal Townhouses. It was a gigantic housing development with garden apartments, row houses, and a few taller apartment buildings. There were parking lots all around—lots of cement, and only a few green patches of grass and trees here and there. In fact, if it hadn’t been for “The Hill,” there would have been no large area of grass at all—no place to play baseball. The Hill was really just a gradual slope, so it was possible to play there. But it was still far from ideal. Home plate was at the bottom of the slope, so Derek and his friends were always hitting and running uphill. Sometimes the outfielders tripped racing down the hill to make a catch, and wound up doing somersaults, or worse, scraping their knees. They had to dodge trees, too! There were two trees in the outfield, and they often got in the way. But Derek didn’t care. Any game of baseball was better than no game at all. His love of the game had inspired the rest of the players too. Derek had been the ringleader of this bunch of ball-playing maniacs ever since his family had moved to Mount Royal. The kids had started calling it “Derek Jeter’s Hill” in his honor—he practically lived there. Every day, even in cold or rain, he’d be out there tossing a ball into the air by himself, until one of the other kids saw him through their window, grabbed a glove, and came out to join him. Two kids could play a pretend game on the hill, complete with radio announcing by Derek and whoever else was playing. If there were three kids, it made it even better. With four or more kids they could actually play a real game—bending the rules, of course, but still, an actual game, with winners and losers and genuine thrills and chills. The games were often between the Tigers, the favorite team of most of the kids, and the Yankees, Derek’s idols. Jack Morris versus Dave Winfield, Kirk Gibson versus Ron Guidry. “Want to play some ball?” Vijay asked Derek as they came to the bottom of the hill. From here they had to go opposite ways. “Gotta write my essay first,” Derek said. “Not me. I’ve got to finish all my homework before I get to do anything else,” Derek said. “I’ll be there,” Derek promised. He already knew what he was going to write. At least, he thought he did. “When I grow up,” the essay began, “I want to be a big-league baseball player.” Derek read it over silently. He nodded, satisfied. A good first sentence, plain and simple and true. But that was it. That was all he had! What else was there to say about his life’s biggest dream? As he sat there thinking about it, his gaze drifted to the pin-striped Yankees uniform pinned to the wall. The back of the uniform was facing him. It had the number 31—just the number, not the last name of the player who wore it: Winfield. Dave Winfield. That was one of the great things about the Yankees. They didn’t have names on the backs of their home uniforms because it was about the team, not the individual. For a minute Derek wondered what number he would wear if he were a Yankee. So many of them were already retired: 3, 4, 5, 7, 8, 15, 16 . . . Not much to choose from. There. He read the essay over again, all two sentences of it, and decided it was just about perfect. In fact, it was even better, because now he had made it more specific. What else could he add? Staring at the mostly empty page, he realized he had to fill it all with words—and another page besides. I’m going to have to get even more specific, he told himself. His gaze wandered away again and found the big poster of Dave Winfield launching a long ball at Yankee Stadium. Derek scrunched up his face. He knew something was missing. “Except I don’t want to play in the outfield like Dave Winfield. I want to be the shortstop instead.” After another moment he inserted the word “starting” before “shortstop.” If you’re going to dream, you might as well dream big. He paused again. One page was almost completely full of writing. The empty second page did not scare him now. He knew he could fill it easily, by writing lots of facts about Dave Winfield and how great he was, and how Derek wanted to be just like him. He read over what he’d written so far, and sat there, smiling. It wasn’t like there was anything new about what he’d written. He’d had all those thoughts before. But somehow, there was magic in writing them down. Reading it now, he could see that he had put his life’s dream into words and crystallized it so it was as clear as the blue sky outside. He remembered Ms. Wagner’s sly little smile as she’d handed out the assignment. Derek realized that this must be exactly what she’d been after! She wanted all the kids to think about their future—so that they would realize how important it was to pay more attention in class, and not talk or daydream so much . . . like he did. When he finished the paper, he saw that there was still daylight, so he grabbed his mitt with the rubber band around it and the ball inside, and stuck a bat under his arm as he headed downstairs. “Hi, Dad!” he called to his father as he crossed the living room. He turned back to his paper, and Derek headed out into the brisk late afternoon, toward the hill that was named after him. Just think what else they would name after him, he thought, once he was the starting shortstop for the New York Yankees! Derek found himself in another daydream. There he was, in a real Yankees uniform, coming out of the dugout onto the big, beautiful diamond in the Bronx, hearing the fans cheer his name as he jogged out to short. . . . It was a bit of a letdown to arrive at the rock they used as home plate, and to find Vijay and Jeff Jacobson waiting for him, instead of Dave Winfield and Willie Randolph. That cracked them all up. Jeff had a wicked sense of humor. “What did you say you wanted to be, Derek?” Jeff prodded. “Starting shortstop for the Yankees, in fact,” Derek added, to make sure Jeff understood he’d really thought it out in detail. “Ms. Wagner’s not going to love that,” Jeff said, cocking his head to one side. “Huh?” Vijay and Derek both said at once. Derek laughed, thinking what a great friend Vijay was. Somehow he’d helped Derek go from feeling lousy to laughing in about thirty seconds. And along the way, he’d stood up for Derek the way Derek had stood up for him. He started running up the hill, his heart racing and his gut churning. He couldn’t wait for Jeff to hit him a ball so he could get his mind off all the troubling thoughts that were swirling in his brain. • Derek has a very strong supporting cast of family members who support his dreams. Who do you already have in your supporting cast and how do they support you? What do you need in a strong supporting cast? • What would you do if your parents made you a contract for your future? • What future plans do you have that would make you want to fully commit to a contract? • When you’re not at your best, how do you bounce back and accomplish your goals to be better than you were? • How does Derek cope with the favoritism shown to Pete? Would you cope in the same way? Why or why not? • Instead of studying, Derek’s mind constantly drifts to baseball. What are the distractions that keep you from doing what you need to do? • Derek continues to play games with his dad despite his constant failure. Why is this important? • Mr. and Mrs. Jeter had to deal with a world that wasn’t very welcoming to interracial couples. What kind of unfair situations have you dealt with in your life? • Would Ms. Wagner be part of Derek’s supporting cast? Why or why not? • Once when Vijay was getting picked on, Derek told Vijay that Pete was being a jerk and helped him through the situation. What situation did Derek’s mom help him through when he was getting picked on? How do you feel about the way she helped him? • Does Pete succeed in bringing down Derek’s confidence? Why or why not? • How would you react to someone like Pete? • Why does Derek continue to play games with his dad despite constantly losing? Why is this important? • Why does Derek realize that he shouldn’t be too disappointed about Pete winning MVP of the Tigers? • How is Derek a leader to his Westwood Little League teammates? The Publisher gratefully acknowledges the help of Jeter’s Leaders and the Turn 2 Foundation in creating this guide. Please find more information about the Turn 2 Foundation and Jeter’s Leaders at www.turn2foundation.org.